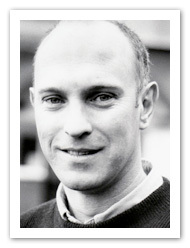 Simon Adams is a writer and editor of children’s non-fiction and reference books. He specializes in history, politics and current affairs and has written extensively on exploration, music and the arts. He is also a well established jazz critic and reviewer. Simon has also contributed to family and adult reference books and has been an editorial consultant on various history and other titles. Simon was born in Bristol and studied history and politics at the London School of Economics and Bristol University, where he gained an MSc. He entered publishing as a publicity copywriter at Routledge and subsequently joined Dorling Kindersley, eventually becoming managing editor of the children's division. He became a full-time writer 20 years ago. Since then, he has written and contributed to more than 80 books for a wide range of publishers on subjects as varied as archaeology, the sinking of the Titanic and the history of jazz. In 2012 Simon chaired the panel of judges for the ALCS Educational Writers’ Award.